Having just moved a MODX Evolution based website from the old server to a 1and1 VPS, we started getting errors about not specifying a timezone in PHP. Tried several suggestions around updating htaccess but no luck. Adding this line to the index.php did the trick. I was trying to track down some specific invoice emails that had allegedly been sent a couple of weeks earlier. Its easy enough to fire up the Message Tracking troubleshooting assistant from the Exchange 2007 Management Console, just look in the Toolbox section. Its a bit like the old Message Tracking Center in Exchange System Manager from the 2003 version. You specify your message criteria and date range and it shows you all the matching email records. However you really need to get it into Excel to start filtering and sorting the data usefully, especially when it returns 100s of matching emails. However there isn't an obvious copy or export option. get-messagetrackinglog -EventID "SEND" -MessageSubject "invoice" -Start "16/11/2014 07:58:00" -End "28/11/2014 21:08:00"
We've got an Intel NUC, one of the DN2820FYK kits - except its really a DN2830 - we use with the Rise Vision platform to run an information display in a reception area. Very nice bit of kit, boots in no time with Ubuntu 14.04 and a Kingston V300 SSD. 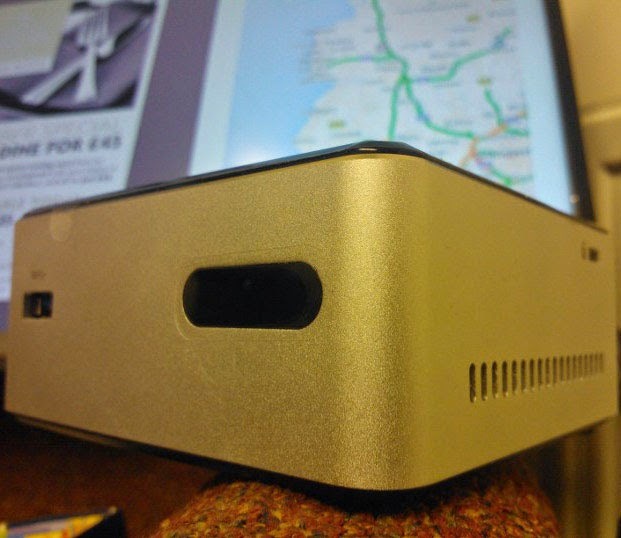 Press the NUC power button and it will be down in under 5s ! On a Windows 7 Pro PC, in the program compatibility properties for a document management program we use (ie. right-click > Properties > Compatibility) there was a ticked 'Run as Administrator' option causing problems with the program failing to load. Issue was it was greyed out so couldn't be removed, even after clicking Change for All Users and entering the administrator password. After clearing up the SharePoint issues, there was just one remaining failure issue in the Trustwave PCI scan of an SBS 2011 server. The fix turned out to be running the .NET Framework Cleanup Tool from Aaron Stebner at Microsoft, and removing .NET 1.0 and 1.1. An SBS 2011 server, all patched up with the latest Microsoft Update fixes failed a Trustwave PCI security scan. 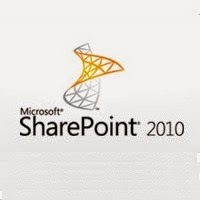 When we looked at the detail most of the fail points were around SharePoint vulnerabilities. Looking at the SharePoint Central Administration console, the Health Analyzer was throwing up warnings about out of date databases and upgrades required. they're no entirely straightforward because there's a difference between content databases and other databases. With SharePoint updates you do need to run the upgrade tool sometimes after Microsoft Updates have been loaded, to get the database to upgrade too. That cleared all but one of the Health Analyzer warnings for us. The remaining one was the "WSS_Search SPSearchDatabase Database is too old" or more strictly, WSS_Search_servername. We had trouble tracking down that database GUID to issue a PS upgrade, as mentioned on the Technet forum. Restarting services and rebooting didn't seem to clear either. The only info we could Google was the upgrade command above. In the end, having run the command repeatedly, the database upgraded and the warning cleared. It appeared to take 2-3 repeats of that command before WSS_Search was up to date. Every time we exit from Sage Payroll 2014-2015 tax year - version 20.02.203 - it prompts to install an older v20.01 update 1. Choose ok and nothing happens, or leave it (and nothing happens!) but you'll get prompted again for the update next time round. Tried manually loading the update from a download - no luck - tried using Run as admin - no luck - tried editing the version number in the PayrollVersion.dat file - no luck. Restart Sage Payroll and no more prompts, yaaay! "Outlook is synchronizing local changes made to items in this folder. You cannot remove this folder until the synchronization with the server is complete." Bit of a strange one - and the workaround is even stranger. Got a Windows 7 PC built around an Asus P5Q Pro motherboard with Intel Q6600 quad core - nice bit of kit, bit dated. It ran an AMD Radeon 4570 X2 (single-handedly responsible for a huge energy bill !) on a Digimate L2262WD. Max resolution 1680x1050. Always worked fine. Anyway the Radeon 4570 finally died. So we replaced with a good value Sapphire R9 270X 2GB GDDR5 model. Easy install, latest drivers (14.3 then 14.4). However we noticed the screen corrupts, more so when the mouse moves. You kind of get flashing blocks, mostly across the top third of the screen. It only does this at 1680x1050. Lower resolution is ok and higher is too, interestingly. Running at 1920x1080 looks a little fuzzy from the scaling but doesn't corrupt - which is strange because it almost looks like a bandwidth/timing issue - and you'd expect it to be worse at higher resolution. Same problem with all connector types (HDMI, DVI, VGA) and different cables. Clean install of Windows on a spare PC with the 270X and Digimate monitor - same problem. Plugged into a 42" LG TV and all fine. Borrowed a Dell 20" monitor which has max 1680x1050, worked fine. So its something to do with the monitor and graphics card combo. This was where I spotted something strange - connecting a second monitor clears the problem up. Doesn't matter which monitor is main or which combination of cables and connectors you use, as long as there is a second monitor present, then the Digimate works perfectly at 1680x1050 off the 270X. Just upgraded a Dell Vostro laptop to Windows 8.1 and the Dell 725 inkjet printer stopped working. At first there were no errors, nothing appeared to happen, no jobs appeared in the print queue. Then it turned into a communications error and a recommendation to enable bidirectional communications - which was already set. Just check that you're on the correct USB port (Printer > Properties > Ports), it appeared incorrectly as COM1 at one point. The correct USB port did show the printer greyed out when disconnected or turned off and then coloured in when online - but still wouldn't print. I had a lot of trouble tracking down the correct driver. Dell's support website no longer lists Win 7 64-bit for that printer model. However if you look at their full Dell 725 ftp listing, it does show a download ... its just doesn't work with all the spaces in the link. Manually downloading R146546.exe based on that link turns out to be the Japanese version - sigh! Fortunately Silicon Guide's Dell 725 printer listing has the correct 64 bit Windows 7 / Vista driver, labelled as version G8, A01. Once run, that should unzip to the c:\dell\drivers\R146546 directory and open a window listing the files. Right-click on setup.exe, click Properties > Compatibility and set to Windows Vista and Run As Admin. Now run the setup and it should proceed normally. Only problem I came across was one PC where there were still some earlier drivers installed, causing a conflict with this version. Remove the Dell 725 printer from the Devices and Printers Control Panel. You also need to go into Print Server properties too, into Drivers. Click the Change Driver Settings to get admin access. Then remove the Dell 725 driver and package. Look in Control Panel > Programs and uninstall Dell 725 printer. Reboot and look in C:\Windows. Do a search for files starting DLC* and delete the ones you can. That should clear all the old stuff ok, follow the above instructions to install the correct driver. Good luck!